Remember the old survival beta Minecraft 404 challenge? It has returned once more in this map with some new features, while also keeping a lot of the old beta mechanics! What is the 404 challenge? It was a challenge created by Neoxx that came into existence 5 years ago when world seeds first came out. It involved putting in 404 as the world seed for a survival world, gathering resources on the surface, and then when night time hit delving deep into a treacherous cave hidden below a patch of gravel. When in the cave you would try and survive for as long as possible while completing achievements, never returning to the surface ever again. You only had one life to work with – when you died it was game over. Using torches in the challenge is banned, meaning lighting up caves is a lot more trickier. 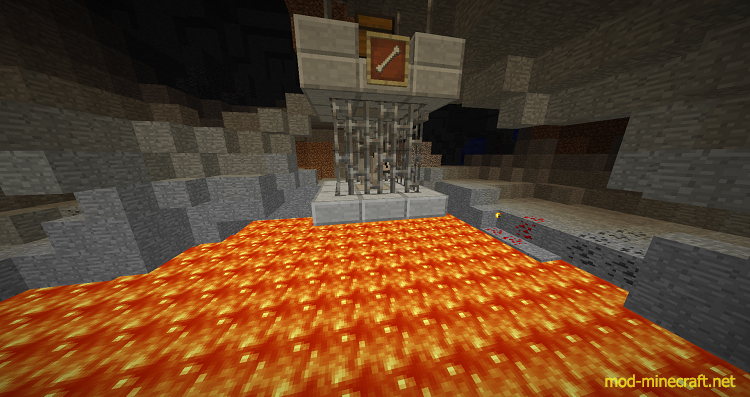 In this map you will get to re-experience what it was like caving in Minecraft beta once more! There is no hunger bar, no sprinting, food instant heals you, no swing timings with swords, no shields, and there is no enchanting tables in this. The cave system you will experience is not at all like the ones that you are used to, there are holes everywhere in the floor and in the ceiling, and there are twists and turns around almost every corner! This is caving before it became incredibly easy like it is today. You better become brave and think logically for this one, as you can easily die especially on harder difficulties. *Experience the 404 challenge once more, now updated to 1.10 while keeping most of the old beta mechanics! *Secrets – I added 10 small secrets through out the cave, some being good things, and other things being bad! *More natural monster spawns – One of the options allows you to modify how many monsters naturally spawn in the cave. You can have the default Minecraft number of monsters (80ish), the beta-like number of monsters (140ish), or even go all the way up to 500 monsters at once if you want a very difficult challenge! *Achievements – There are a number of achievements you can work towards as you try and conquer the cave. *Resource pack – Most of the old textures for blocks/items, and sounds are back in the game again. There is also some very spooky cave music which occasionally plays to keep you tense! The resource pack comes with the world file. *Multiplayer support – Grab as many friends as you need to keep yourself sane in the caves and even try a harder difficulty than you’re comfortable with! No need to try and figure out how to set up a beta server.